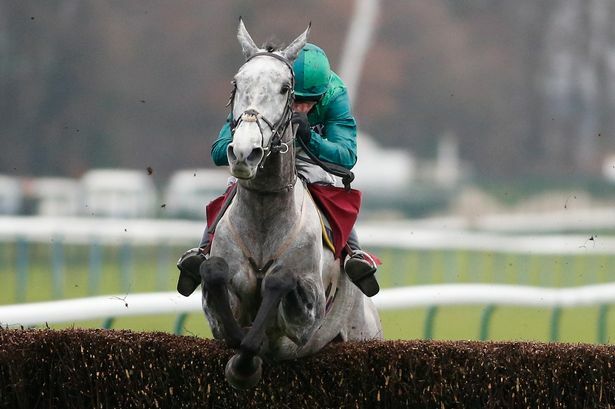 Haydock specialist Bristol De Mai (13/2) was the surprise winner of the Betfair Chase despite obliterating the field in the same event last year. In 2018, however, the grey got the better of Cheltenham Gold Cup winner Native River (5/2) and runner-up Might Bite, the evens money favourite. The Nicky Henderson trained runner was mightily disappointing, finishing a floundering last and one wonders what mental damage last March’s epic defeat to Native River has left on the 2017 King George winner. Build up to this year’s race surrounded the top two in the betting due to the widely held view that Bristol De Mai was overly dependant on soft or heavy ground but the Nigel Twiston-Davies trained runner, ridden by Daryl Jacob was arguably more impressive this year owing to the talent behind him. Former Stayers Hurdle and King George VI winner Thistlecrack was a very respectable third and only for some poor jumping would have been a lot closer. For now, he looks likely to stay chasing and the Colid Tizzard trained gelding will be aimed at regaining his King George crown on Boxing Day. It was the fourth win out of four runs at the Merseyside track for the seven-year-old Bristol De Mai, the grey had a wind operation last winter and was second behind Might Bite in the Betway Bowl Chase at Aintree in April on his return. This time, Jacob brought him to the head of the field from the start but the other four runners were never too far away. Turning for home, all five runners were still in with a chance of winning but Bristol De Mai jumped into a decisive lead with two fences to go and extended his advantage to win by four lengths. Afterward, Jacob said that the Twiston-Davies yard had always believed in the winner. Twiston-Davies added: “He wins everywhere when he’s right. He’s difficult to keep right. First and second time out last season he was superb, then he started getting his aches and pains and taking a few lame steps. Hopefully, second time out this year will be at Kempton and we’ll give them a hard time there. “We don’t mind being the underdog. We were discussing on the way up here how it reminded us of Imperial Commander taking on Kauto Star and Denman in the Gold Cup. We were totally the underdog and then you go and stuff them like that! The Paul Nicholls trained Politologue (5/4 favourite) fended off Charbel (5/2) to win the Christy 1965 Chase at Ascot and lay claims on the King George VI Chase at Kempton on Boxing Day. The grey booked his ticket for the Christmas showpiece giving Charbel 6lb and a half-length beating over two miles five furlongs and Nicholls is confident that Politologue has the necessary stamina for the 32Red sponsored event, where he is now best priced @ 9/1. The Ditcheat based trained told ITV Nicholls said: “He will go for the King George, and he will not go for anything else bar that now. “Ascot is a stiff track. He travels well and tends to idle in front, but I was thrilled with him on Saturday. Paul Nicholls’ charge looked set to record a comfortable success when mastering the freewheeling Gold Present turning for home and going to the front on the bridle. However, he got in close to both the second last and final fence and the eventual runner-up Charbel gained momentum, closing all the way to the line. Meanwhile, Kim Bailey, trainer of the runner-up, said: “I am delighted with him. I’m just annoyed he got it wrong at the last, but he had to go for a long one and he didn’t get it and it was as simple as that. “I long to step him up and I will step him up as three miles is where we want to go. I’m now regretting I didn’t make an entry in the King George, but that is easy in hindsight. There was top-class racing at Navan Sunday as local trainer Noel Meade claimed the feature Grade B Ladbrokes Troytown Chase with Tout Est Permis (9/1) for Gigginstown Stud under Sean Flanagan, denying Gordon Elliot a record-breaking 5-in-a-row. The Grand National and Gold Cup-winning trainer sent out 11 of the 25 runners. Meade was last successful in the Troytown with Heist back in 1997 and he was thrilled to land the main prize for owners Gigginstown House Stud. He said: “Eddie (O’Leary, racing manager for Gigginstown) said to me the other morning ‘Are you not going to run the other two in it?’ and I said ‘No – you can only win it once’. I was very sweet on him, and he worked a bomb the other day. I felt if we just kept him together from then until Sunday, he’d win. The Grade 3 Monksfield Novice Hurdle went to Easy Game (11/2) for trainer Willie Mullins and Ruby Walsh and the Red Mills Irish EBF Auction Maiden Hurdle went to Put The Kettle (11/4) on for Henry De Bromhead and David Mullins who stole a march on the short-priced favourite Gypsy Island (Evens). De Bromhead said: “David said he wanted to make it a bit of a test and use her jumping and it all worked well in the end. Walk To Freedom highlighted a 471-1 treble for Jessica Harrington at Navan as he triumphed at odds of 20-1 in the Proudstown Handicap Hurdle. The eight-year-old only returned to action earlier this month after an absence of more than 480 days and was completing a double for Power and Harrington after the earlier success of Jetz (4-1). Grade One-placed as a novice hurdler last term, Jetz had unshipped Power on his chasing bow at this track earlier in November, however, he made no mistakes in the Irish Stallion Farms EBF Beginners Chase – coming home half a length in front of Duca De Thaix, with odds-on favourite Paloma Blue well beaten in fourth. Power added: “They went a stronger gallop today, and I was flat to the boards leaving the back straight – but it’s a stiff two mile and one around here, and his stamina kicked in at the end of the day. He’ll be stepping up in trip from now on. Barrington Court (7-2) then rounded off Harrington’s hat-trick with an impressive success in the ‘bumper’, the Listed Coolmore N.H. Sires Irish EBF Mares INH Flat Race. Partnered by Mark O’Hare, Barrington Court fairly flew home in the final furlong to win by 10 lengths from Two Shoe Tom. Elsewhere Defi Bleu justified strong market confidence (13/8 overnight into 4/6) for Gordon Elliott owner in the www.navanracecourse.ie Maiden Hurdle running out a deserved winner proving the step up to 2 and a half miles was very much in his favour. Catch all the Navan Highlights from www.goracing.ie below.